Items 2. and 3. are fairly straight forward I just need to point at any stable URL. For the sake of building something close to real I will use some URL's that point to some real criteria and its related evidence. I will use different base URL's to add authenticity. How do I decide on the badge taxonomy? 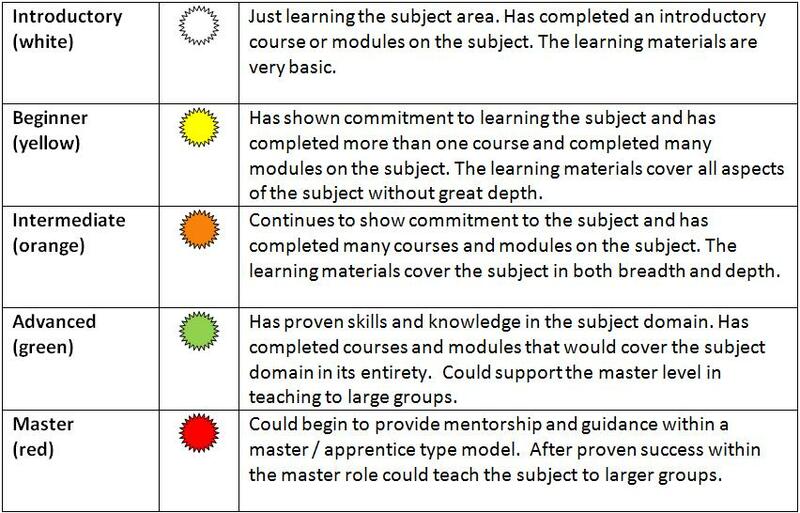 The new challenge is in creating a badge taxonomy that will work for my learning context and how the learning progress will advance. It does seem like I'm making the creation of some sample code way to complicated, but I want the sample to provide enough complexity to make it real. Now I have started thinking about it, it becomes complicated, the devil really is in the details. I want a taxonomy that provides enough levels so I can differentiate between the different levels of competency, I also want to show beginning and completion. I want things to be visually appealing and easily understood. 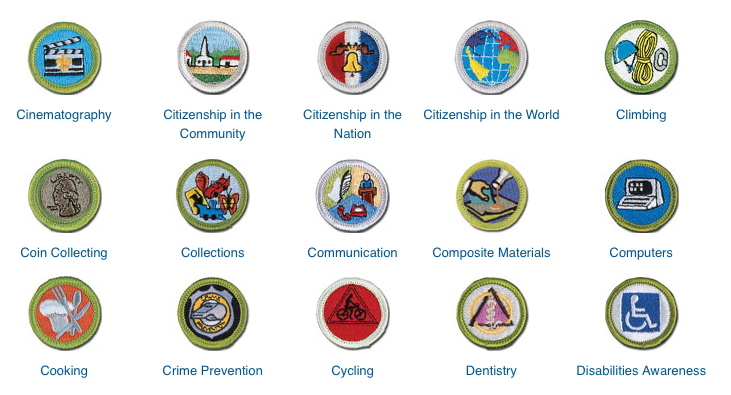 When I step outside of scout / merit badges, I begin to think more about the different levels of competency or mastery. The two that jump to mind are what is available with the martial arts with belts and those available with bronze, silver and gold awards. 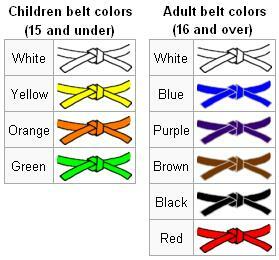 What I really like about the martial arts taxonomy is the range of colors, the differentiation between child and adult, the shared starting point of white, and the flexibility to the number of levels. What concerns me most in using the martial arts levels is there are too many levels. and trying to spread a curriculum across so many levels would create an unnecessary complexity in getting to completion. What I like about the Olympic style awards is its simplicity. And how it has been well applied to many award systems. 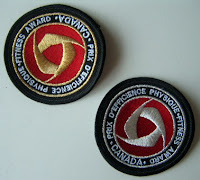 I remember growing up in Canada we had a gold, silver and bronze fitness badges. The amount of excitement around these badges was outstanding. And having only three levels made things simple and provided for three different levels of achievement. What concerns me most about these three awards is their relationship with competitive activities and having a 1st, 2nd and 3rd place finish. In my mind, learning isn't about competition, it's about achievement and depth of knowing. I also don't believe the gold, silver and bronze provide enough variety of colors to make the badges distinguishable. I often find the simple solution is often the best solution. 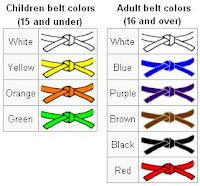 I like the use of colors as found in the martial arts approach, I believe a good use of colors will also work best on the web. I also like starting with white as the introductory level. I like having only a few levels of achievement (three or four) for this fits well within; beginner, intermediate, advanced and master. The taxonomy I have developed here only serves as an example of the things I have thought about and what I believe is important. I would think that their already exists many attributes within your institution, organization and approaches that should be considered when developing a badge system taxonomy. I hope this post has got you thinking about how you would create your badge system.